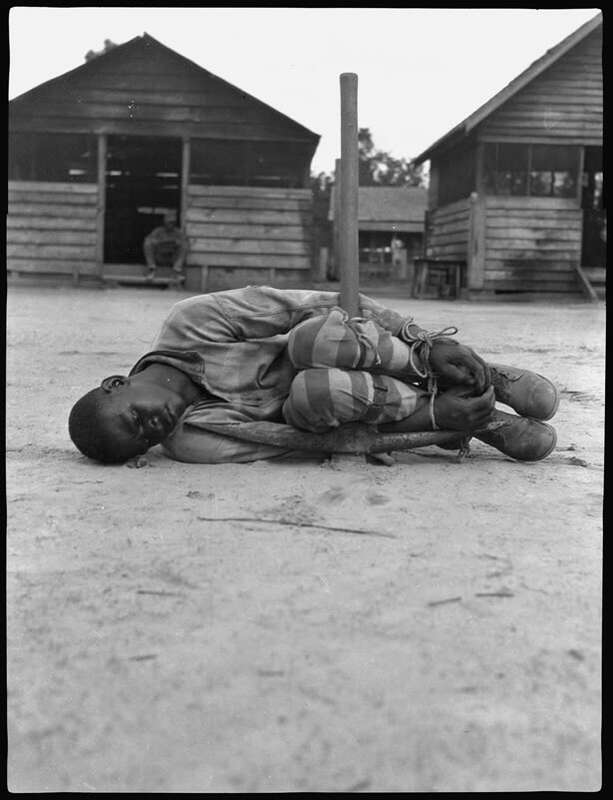 Young prisoner chained to a pick-axe in a 1930s forced labor prison camp in Texas, c. 1930s. It’s a good photo but it makes me feel sad. I can’t believe that this kind of things happened in the past. I have the same conflict/dilemma with this one. It’s an amazingly powerful photo and I like it as that, but the subject and background history is very disturbing. If you look through Google images for slavery, you’ll find a very similar illustration with a Haitian slave bound in exactly the same way, and with an overseer standing over him with a raised whip. Probably from the 1800s. You’ll also find photos and drawings of various torture devices that slaves wore as punishment.